Jay-Z has spoken out for the first time about shooting his brother at the age of 12 after his crack-addicted brother Eric stole his ring. The superstar rapper had never talked publicly about the traumatic incident that took place growing up in the housing projects of Brooklyn. However, in an interview with UK newspaper, The Guardian, he admitted: "I thought my life was over. I thought I'd go to jail forever… it was terrible. I was a boy, a child. I was terrified." 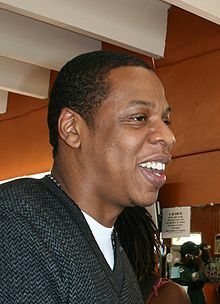 Whilst his brother chose not to press charges and apologised to the future star for the state that drug had got him into, Jay-Z alluded to the incident on his 1997 track 'You Must Love Me', rapping: "Saw the devil in your eyes, high off more than weed, confused, I just closed my young eyes and squeezed". Describing the violence that surrounded his upbringing, he added: "Guns were everywhere. You didn’t have to go far to get one. Just everywhere....There were shootouts, but I never shot anyone else. Most people in shootouts don’t get shot." Jay-Z will be the support act for U2 on the Australian and New Zealand leg of their U2 360° Tour, beginning in Auckland, New Zealand in November 2010, followed by Australia in December.